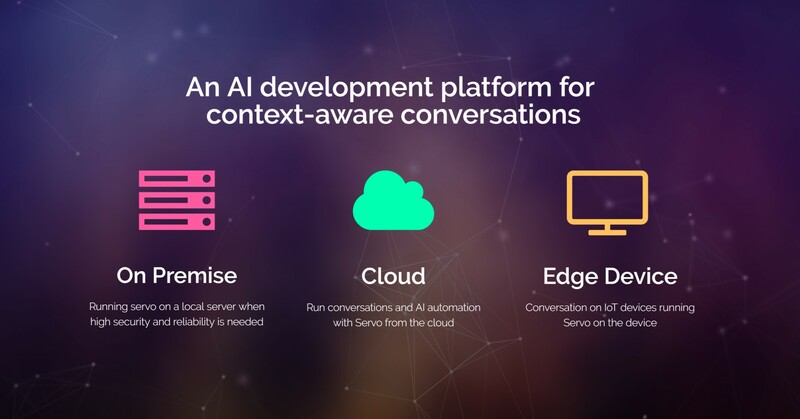 Servo Labs enables developers to build near-human, large scale conversational projects. It comes with a visual conversation editor, dozens of ready-made modules (and conversations) to use, an automated testing system, easy object-oriented extendibility, sub-conversation support, a built-in database and most importantly, a an advanced context-detection algorithm. Developers can build multi-platform applications - one application for Alexa, Google Home, FB Messenger, Twilio and more.